The Vargem Grande Itabiritos project (above) is one of four major investments Vale has made in Minas Gerais. 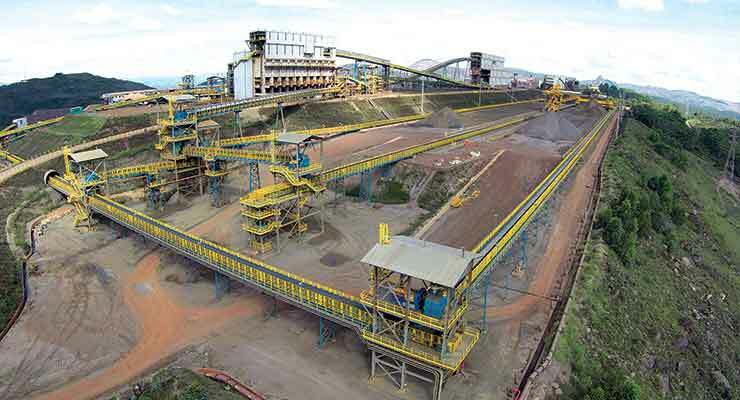 While much of the recent expansion in iron capacity worldwide has centered on economies of scale, such as mining and processing larger volumes, Vale has taken a different approach with its older mines in the central Brazilian state of Minas Gerais. 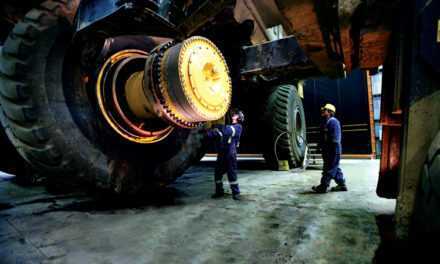 The company is nearing the completion of its $5.5 billion Itabiritos project, revamping mills and material handling systems to essentially upgrade a lower quality iron ore. Until recently, compact itabirites, which contain only about 40% iron (Fe) and high levels of silica and phosphorous, were discarded in favor of higher quality ores. The company’s historic mines, located relatively close to Belo Horizonte, have accumulated vast piles of itabirites during the past 40 years. Once this project is complete, Vale hopes to have expanded iron ore production by about 65 million metric tons per year (mt/y). As it reclaims the old piles, it provides tailings storage areas for existing operations, reducing the mine’s long-term environmental footprint. 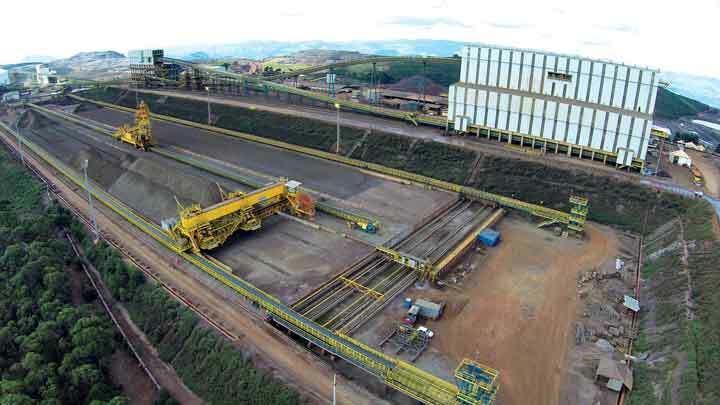 Together with its S11D and other expansion projects in Carajás, the Itabiritos project will help Vale increase its iron ore production by 35% over the next four years, from 340 million mt this year to 459 million mt in 2019. Vale refers to the Itabiritos project as the third wave in its history. The first wave occurred between the 1940s and the 1960s, when the steel industry basically used high-grade 6- to 50-mm lump ore extracted from hematite deposits. At that time, blast furnace technology did not permit the use of smaller iron ore, which reduced reactor permeability, harming productivity. As a result, a large amount of fines (< 6 mm) accumulated at mines. The development of agglomeration technologies, however, solved the fines problem, making it possible to transform them into pellet and sinter feed. In 1956, Vale decided to enter the pellet market by building its first pelletizing plant and integrating it into its mine-railway-port structure. Pellets quickly gained prominence. A few years later, Vale saw its output of high-grade ore beginning to deplete at the same time that international competition intensified. The second wave then took place in the sector, when Vale began processing the friable itabirite ore, with 40% to 60% Fe content. To develop technology to process lower grade ores, in 1965, the company established its Mineral Development Center (known by the Portuguese acronym CDM), which still operates today in Santa Luiza. To process the discarded itabirites today, Vale is either constructing new plants or adding grinding and flotation circuits to existing plants. The blended ore is concentrated to generate pellet feed and, in some cases, sinter feed, with much higher iron content and low levels of silica, making them attractive for the global market. The Itabiritos project will expand current production volumes and extend the lifespan for three mines: Vargem Grande in Nova Lima (near Belo Horizonte), and Conceição and Cauê, both in Itabira. Cauê was Vale’s first iron ore operation, which opened in 1942. All of the work should be completed by the beginning of 2016. As a point of reference, in 1942, Vale produced 40,000 mt of iron ore. Today, it produces that much iron ore in an hour. The company produces iron ore from four integrated systems, comprising mines, railways and port facilities. The Northern System in Pará is home to Carajás and S11D. They ship iron ore through the Port of Sao Luis. The Midwestern System, located in Mato Grosso do Sul, ships iron ore by barge to Uraguay where it is transloaded onto ships. 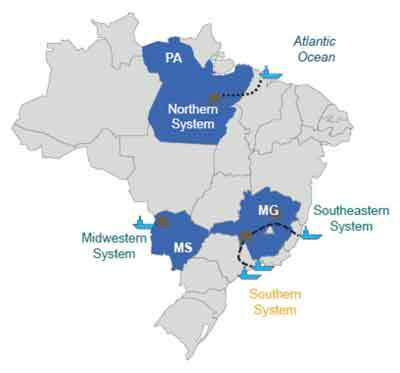 The Southern System (Conceição and Cauê) and Southeastern System (Vargem Grande) are located in Minas Gerais, and export through Tubarão and two ports in Rio de Janiero. Altogether, Vale produces 340 million mt from 22 iron ore mines in Brazil and a total of 11 pelletizing plants produce roughly 40 million mt. Vale has installed 22 ball mills at its mines in Minas Gerais. The third wave consists of four projects. The Conceição Itabiritos I (12 million mt/y), which included the construction of a new ore processing plant to process waste piles, started operating during the fourth quarter of 2013. 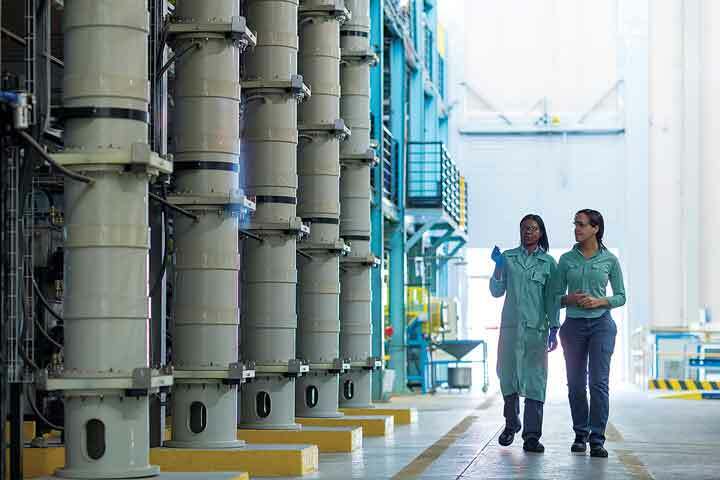 Conceição Itabiritos II (19.5 million mt/y), which was a modification of an existing plant to process compact itabirites, started operating in June. Vargem Grande Itabiritos (10 million mt/y) involved the construction of a new iron-ore processing plant and it was commissioned in the second half of 2014. Cauê Itabiritos (23.7 million mt/y) is another plant modification that will begin operating by the end of 2015. As of mid-September, the Cauê project was 82% complete. Even though the Cauê mine is located relatively close to the Conceição, they are two separate complexes with different quality reserves. “The Itabiritos project is very important to Vale in light of current market conditions, where product quality and productivity improvements are fundamental,” explained Vale’s director of ferrous projects for southeastern Brazil, Carlos Miana. Vale produces iron ore from four regions in Brazil. “The big difference between these new plants and our previous plants is the ball milling,” he added. “These are old mines and production was decreasing steadily because of the prevalence of these low-quality compact itabirites. The ball mill circuits grind the ore to a finer consistency. This allows the flotation cells to better remove the silica and other impurities.” Miana estimated that Vale has about 100 million mt of iron ore only in these piles, and a lot more in the mines. Vale is also studying the process from from neighboring operations. When complete, Vale’s Itabiritos project will have consumed 16,000 mt of piping, 67,000 mt of equipment, 75,000 mt of steel structure, 332,000 m3 of concrete, 4,200 miles of electric cables, and more than 5,000 people will have worked on the project. 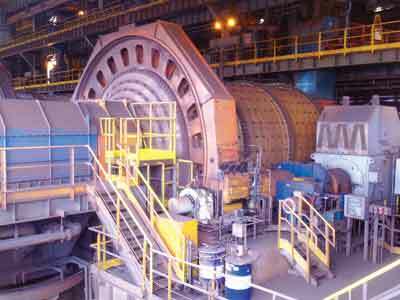 Vale will have installed a total of 22 ball mills in the three years—six balls mills in each of the three plants near Itabira and four at Vargem Grande. The Chinese steel mills buy Vale’s iron ore and Vale buys Chinese equipment. As an example, ZMPC provided a 12,000 mt/h reclaimer at Vargem Grande. Citic supplied the ball mills. FLSmidth provided the slurry pumps and tank cells, which were the largest in the world at the time. In addition to seeing the project through to completion, Miana is proud to see these mines and plants continue to operate in Minas Gerais. “These operations employ a lot of people and we are achieving a higher quality product,” Miana said. “It’s the first time we have successfully beneficiated run-of-mine (RoM) iron ore with such a low iron ore content. The plants that have been commissioned are already operating at nameplate capacity.” As they always do, the miners are now trying to make marginal improvements to increase the production. The Vargem Grande plant concentrates all of the iron ore produced in the Minas Gerais quadrangle, which includes the Tamandua, Capitao do Mato and Abóboras mines. All of the iron ore for the Vargem Grande Itabiritos project comes from the Abóboras mine, explained Thiago Mariano, planning engineer, Vargem Grande project. (Abóbora means pumpkin in Portuguese; all of the mines are named for the local farms). The output target for the project is 10 million mt/y of pellet feed with a 67.4% Fe content. One of three technicians tracks performance at Vargem Grande’s control room. The Vargem Grande expansion was commissioned in November 2014. The long-distance conveyor was brought online a little earlier (August 2014). The new railcar loading facility began operation in March. The new plant processes a raw feed of 22.4 million mt/y (44% Fe, 35.8% SiO2) and recovers 10.1 million mt/y (67.4% Fe, 1.5% SiO2). Approximately 12.3 million mt/y reports to tailings (with about one-third of that being slimes). The entire Vargem Grande project can be broken into three distinct areas: the dry circuit, the wet circuit and the conveyor/rail loading system. 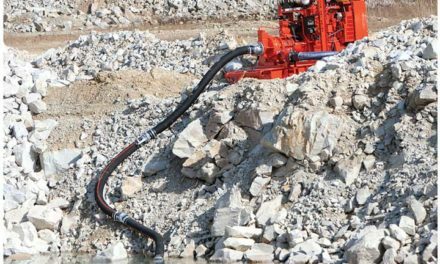 The dry circuit consists of crushing and screening and the homogenization yard—everything prior to entering the grinding circuit. The wet circuit includes everything from the four 10-m-diameter ball mills to the pellet plant. A 100-m-diameter thickener decants tailings, while a smaller 40-m thickener dewaters product. The long-distance conveyor transports product 3 km downhill (200 m elevation difference) to the rail loading facility. The three haul trucks from the Abóboras mine dump iron ore at the primary crusher, a jaw crusher. A set of banana screens (Metso) and secondary crushers (Metso/Sandvik) reduce the feed before placing it in the homogenization yard. The 600,000-mt capacity homogenization yard is actually two 300-million-mt piles. The bridge reclaimer works both piles blending and reclaiming the ore. “The homogenization process ensures a consistent feed quality for the plant,” Mariano said. The homogenization yard at Vale’s Vargem Grande mine blends RoM iron ore to provide a consistant quality feed to the mill. The slurry that is not sent to the pellet plant is dried by FLSmidth disk filters before heading to the product yard, where a new stacker-reclaimer from ZPMC stores it. The product is usually given 12 hours to drain in stockyard. 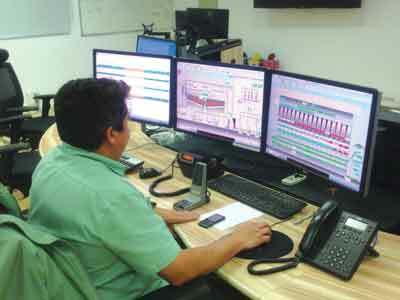 In an ultra-modern control room supplied by Schneider Electric, three technicians monitor quality, the dry circuit and the wet circuit from three stations. The other stations, under construction at the time, will be used for the old Vargem Grande plant and the other two mines. Already the new plant at Vargem Grande has experienced its seven best days of production. Similarly, the other projects are experiencing the same level of success. Vale’s investment in this third wave will serve its customers well, and sustain the company and the people of Brazil for many years to come. In the early 1960s, Vales was at a crossroads: unless it invested in innovation and technology, it ran the risk of having its main business, iron ore production, seriously harmed in an international market that was becoming ever more competitive. At the Cauê mine in Itabira, Vale saw its reserves of hematite, which contains high levels of iron, rapidly shrink. The company had not yet developed its Carajás mine, and Cauê was its main operation. The solution came in 1965 with the establishment of the Mineral Development Center (CDM), known at the time as the Ore Research Center—a small lab in Santa Luzia, near greater Belo Horizonte area. The 6-m columns (left) will be used to more accurately model a heap for bioleaching research. The CDM discovered how to process lower-grade itabirite ore at a low cost. This was a major technological breakthrough, enabling Vale to not only remain in the market, but to increase its market share. About 10 years later, Vale became the world’s largest iron ore exporter and the CDM played an important role in this achievement. Today, CDM is considered to be one of Latin America’s most sophisticated mineralogical and metallurgical labs. 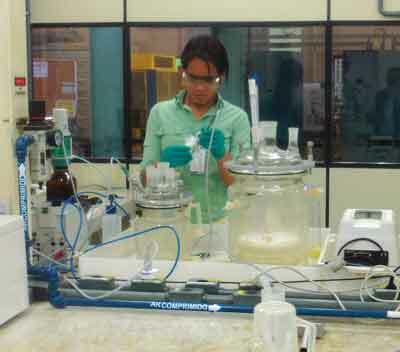 Modern equipment facilitates research on processes, mineralogy and petrography, and chemistry. The research facility employs more than 100 highly specialized professionals, including 20 people with master’s degrees and 10 people with doctorates. Over the course of 50 years, it has obtained 450 patents, nearly 10 per year, on average. In the 1980s, the CDM added bauxite, manganese and gold to its portfolio. In the 1990s, it started to delve into kaolin and potash. At the turn of the century, CDM started to work with coal, copper, nickel and titanium as Vale acquired more projects worldwide. Today, the group is looking into phosphates and rare earths. At the height of the Super Cycle, Vale’s Exporation Department had interests in 25 countries, but today its focus has narrowed to six countries: Brazil, Canada, Indonesia, Australia, Chile and Peru. About 75% of the company’s exploration investment is targeting Brazilian projects. Today, the CDM is actively supporting Vale in four areas: exploration projects, mineral processing, technology projects and technical support. 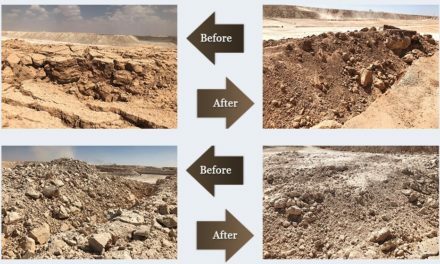 One ground-breaking line of research at CDM involves the industrial use of bioleaching, a technique that employs bacteria to stimulate the extraction of copper contained in in secondary sulphide and oxide copper ores. The oxidized ores found close to the surface of the orebody have simply been stockpiled since the Sossego mine opened in Canaã dos Carajás, in the southeastern section of the state of Pará. If the technique works, it could extend the life of the mine, reduce copper production costs and decrease water consumption. Vale is incubating and cultivating microbes for bioleaching copper at the CDM. At the moment, bacteria are being cultivated and adapted to the needs of the process in incubators in CDM’s laboratories. Tests have so far been carried out with bacteria in 1-m-tall bioleaching columns, which have indicated that copper extraction using bacteria is technically feasible. This year, bioleaching columns up to 6 m tall—the same height as an industrial ore pile—will be tested to obtain engineering parameters. The intention is to evaluate the financial availability of the technology. The CDM is cultivating micro-organisms that are native to the Carajás region. “We are incubating and growing these micro-oranisms to use in our existing projects,” Hilário said. “All of the these micro-organisms will be used in the 6-m column. We are collecting, multiplying and adapting them to the process.” Hilário believes the microbes can oxidize the sulphides quickly and they can maintain the pH in a range that doesn’t dissolve iron or other gangue materials to enhance the copper recovery. The CDM is also looking at bio-remediation to treat effluents from existing operations. Vale recycles a lot of water and they are looking to recycle more.